When you think of the South Pacific, chances are you’re imaging the idyllic azure waters and towering palm trees of French Polynesia. The overseas collectivity is known for its blend of French and indigenous cultures and its laid-back atmosphere, but there’s no shortage of adventure. Tahiti is the heart of French Polynesia. Stroll the black sand beaches, swim in tranquil lagoons, and experience a traditional Tahitian dance performance. 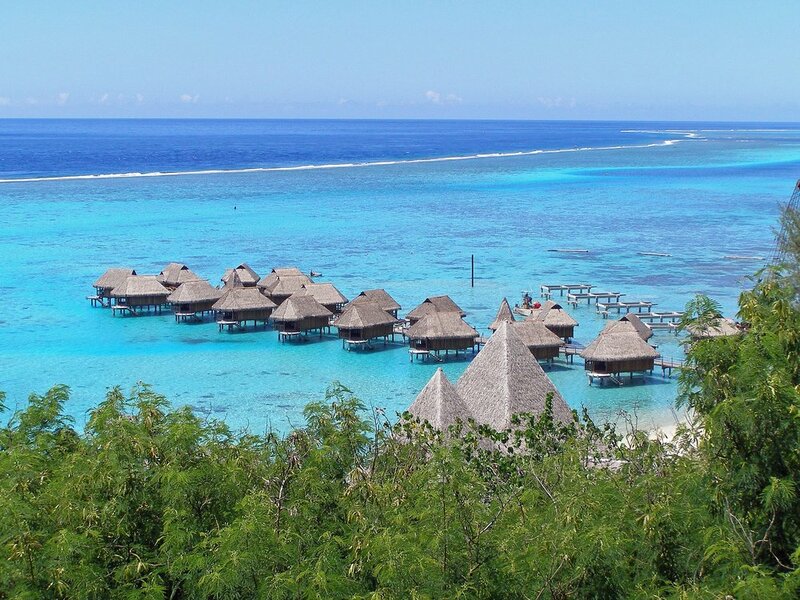 The stunning island of Moorea is considered Tahiti’s sister island. Here you’ll find sprawling pineapple plantations and enchanting overwater bungalows—Moorea is the birthplace of this style of accommodation, which has become a South Pacific staple. Bora Bora is another incredible option and often seen as the ultimate paradise. This island tends to be on the pricier side and has a bustling tourism scene, but the unparalleled views are worth it. Embark on a jungle hike or head into the salty sea for exciting water sports, such as paragliding and jet skiing! Pristine beaches and lush greenery are on full display in Samoa. This island is ideal for the independent types looking to explore on their own. Snorkel the rugged coast, surf powerful waves, and trek through the verdant rainforest teeming with rushing waterfalls. One of Samoa’s most iconic sites is the To Sua Ocean Trench, where a wooden ladder descends into crystal-clear turquoise waters. This secluded swimming hole is a slice of heaven, shaded by dense jade shrubbery. 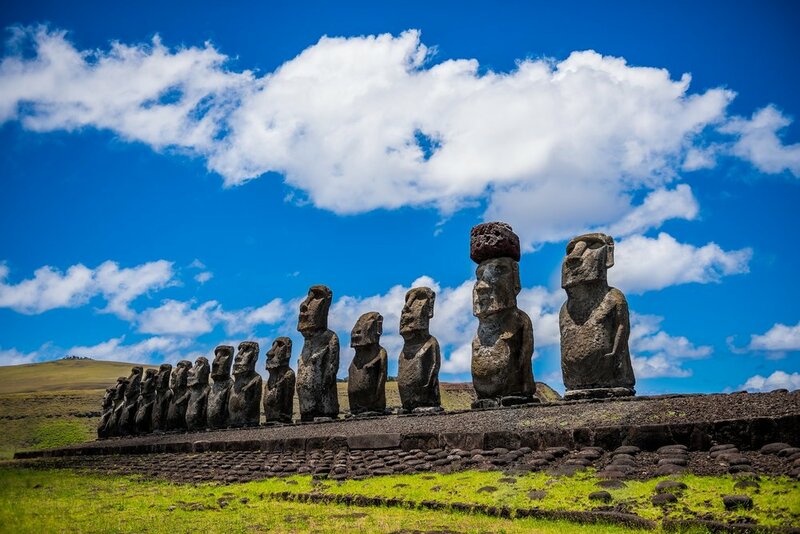 Easter Island is famous for its mysterious moai statues, with close to 1,000 of these giant stone carvings of faces and torsos scattered about the island. Although recent years have shed some light on their origin, they still hold an enigmatic quality today. Head on a tour of the national park for the best look at these impressive figures. Less than 6,000 people inhabit this mesmerizing island, and the remoteness makes for a true escape—don’t expect wifi throughout your travels. The locals are big on ecotourism, so travel the rocky coast by bike or horseback and truly get to know the island’s natural beauty. Located near New Zealand, the Cook Islands are a budget-friendly exotic paradise. The glistening waters flow from aquamarine to cobalt blue and are home to vibrant coral reefs and diverse marine life. These islands are a hidden gem; the proximity to New Zealand means you’ll find plenty of modern amenities, yet it offers remote bliss. As the Cook Islands are still relatively new to the tourism scene, you’ll have beaches nearly all to yourself with this extremely affordable option. Fiji is by far the biggest South Pacific tourist destination, but don’t let that deter you—it still manages to feel like a secret paradise. Like all South Pacific islands, Fiji is known for its friendliness, but the hospitality and warmth of the locals goes above and beyond. This makes it incredibly easy to get to know the locals and form deep connections to them and their culture. Immerse yourself in their way of life, participating in a kava ceremony. Made from water and the powdered root of a pepper tree, the earthy drink tastes like muddy water. But it provides an elated feeling, helps calm anxiety, and makes your mouth and throat numb and tingly. The pure joy on this island is infectious. Experience a traditional music and dance performance, scuba dive through colorful corals, and sightsee the bustling capital city of Suva. 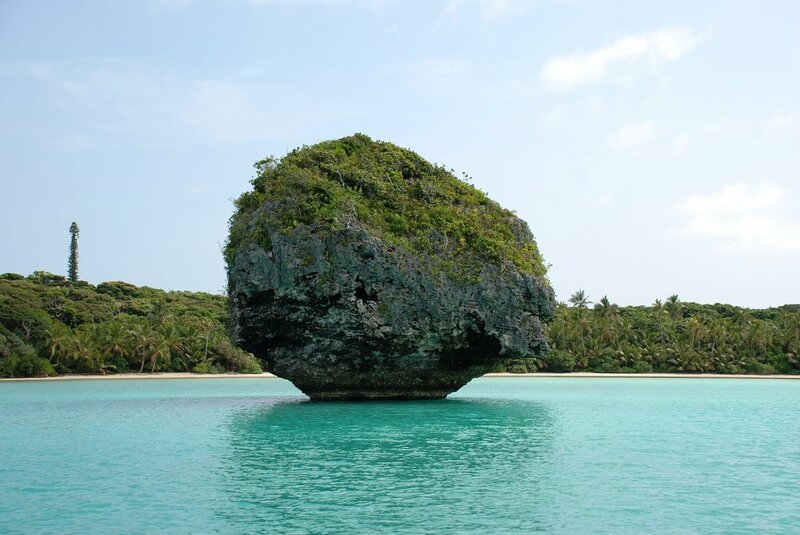 If you’re an avid hiker, Tonga is the place for you. It offers an endless supply of staggering caves, roaring waterfalls, and steep chasms. It’s also the best place to swim with humpback whales. Join a tour group for the once-in-a-lifetime opportunity to float alongside these gentle creatures, creating memories that’ll last forever. Life on the island is slow-paced, so be sure to embrace the laid-back atmosphere without the constant buzz of technology. Sail the calm waters, learn about the vast archeological history, and attend the locals’ favorite pastime—a rugby match. Calling all history buffs! Solomon Islands is the place for you. The island played a prominent part in WWII, and the significance can still be seen today. One man found so many WWII-era artifacts that he created a museum out of his home. There’s also numerous shipwrecks to explore by diving—some are even shallow enough for snorkeling. The islands provide an authentic tropical experience, with their unpaved roads and older infrastructure distinguishing them from more touristy destinations. Immerse yourself in the Melanesian culture, getting to know the locals and participating in their daily activities. Try out eel calling and hand feeding! New Caledonia is a piece of southern France in the South Pacific. A blend of Melanesian and French cultures, you’ll find the charm and sophistication of France mixed with the easygoing, friendly atmosphere of the Melanesian people. Munch on a fluffy croissant as you stroll the city streets, followed by an afternoon by the sea. The island paints a unique picture, with pine-tree lined beaches, and it’s home to the world’s second largest double barrier reef (after Australia’s Great Barrier Reef). Snorkel among the vibrant hues and diverse tropical fish, sea turtles, and manta rays—you may even spot a sea snake! New Caledonia is perfect for any traveler, with accommodations ranging from simple bungalows to luxurious resorts.